You might have a great house built up, but things do not last long if they do not have a great foundation. Today, there are building which have cracked walls inside and outside the house, major leakage problems or bulging doors, which all lead to repairs being done in the basic foundation of the structure. Interestingly, today, a lot of newer buildings seem to be experiencing these problems as opposed to an old building. It is even believed that the structure of an older building is much greater in terms of the way it is built or even the quality of materials used to build it. Why do we need to repair the foundation of the building? Every couple of years, a building is due for a complete check-up. Foundation problems can cause a whole lot of stress to the building, making it weak and unpredictable and must be addressed immediately. You might have the best looking home but if you do not take care of it, it may not last long. The first thing would be is to call a building consultant or preferably the structural engineer and have a look at the building right away to judge the severity of the situation. After assessing the building structure, if the engineer feels that the building is due for a structural appraisal; it is wise to invest in getting a proper structural report from him. Some buildings just need a hand to get back into original shape. Technology has progressed so quickly that there is now a method by which you simply need to inject high-density structural polymer foam just below the surface of any building structure. This, in turn, lifts and stabilizes and possibly even re aligns (where needed), the foundation of your home! Gone are the days when you need to wait days before your building structure comes back to shape! The high-density polyurethane that is filled inside the foam is a material that allows for quick repair systems. It is efficient, environmentally friendly and cost effective all in the same, and is one of the easiest ways to stabilize concrete structures. What’s more, in a matter of days, your house structure is going to look as good as new! You can check out Stabilicore Foundation Repair to know more about how foundation repair can help your home be secure and you safe. Just remember, that the longer you put off building repairs, the more damage it will do to the foundation of the structure, and it will possibly cost you more to restore the building in all probability. 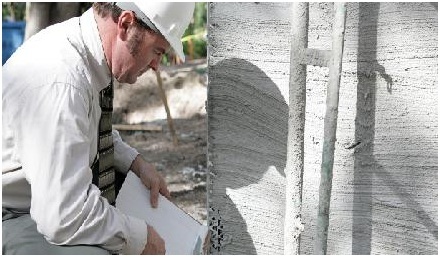 So addressing foundation repairs as soon as possible is the best that one can do for the health of your building.